The battle arena is ready – are you? 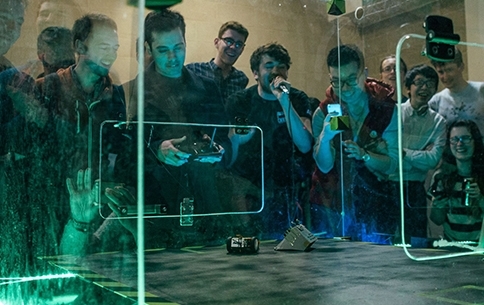 In this interactive robot combat experience, design the miniature mean machine of your dreams and experience the mechanical mayhem of the pitch. Join the Incredibots as you and your team build your own robotic warrior and battle against your opponents to find out who will reign supreme.